My story started when I was 13 years old and my parents were contemplating a new car back in 1968. An Uncle had a Volvo (which was an influence) and of course I’ll never forget my parents making me feel a part of the decision process to buy one. At the time Volvo was making a reputation for itself as a very safe and well made car (most owners were holding on to them for many years, which at that time, was almost unheard of) and they attracted socially responsible people, Sweden then of course was neutral regarding the Vietnam War and as we all know Volvo is made in Sweden! Many college educated people were zapping them up, especially in Berkeley. So needless to say when my parents purchased their first Volvo 144, with my approval, it became the major influence of my life! My fondness for the Volvo only intensified later and got melded in with my thorough enjoyment of driving and driving fast. My fascination with speed I blame on a couple of people that are long family friends now but one had a Volvo and was able to show me few ' tricks ' driving his '67 142 and, oh my gosh, off I went to the races to watch Volvos compete! As a teenager I wasn't particularly focused on any one particular good goal until my parents (again) offered me their old broken down VW, with one condition; if I would learn to work on it myself. Well there you go... One well intentioned condition that my parents had no idea ... turned into a hobby then a career. After working for a few Volvo shops, gaining experience and earning a name for myself, I was encouraged by a friend and business associate - now my business landlord and still friend - to make the jump and start my own business. That was 1983 the same year my Volvo race car was finally ready to see the track for the first time. How much more fortunate can one be, so many years later be able to say, I'd do it all again! I'm proud to be one of the Berkeley mechanics servicing this great community. 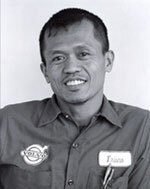 After Trisno moved to the U.S. he entered the Automotive Mechanics Technology Course at Honolulu Community College in Hawai’i receiving his A-S degree. In 2005, his mechanical aptitude was recognized when he was put on the Dean’s List and became Student of the Year. 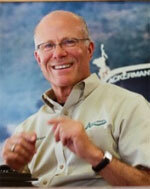 Now his experience has brought him to Ackerman’s as a well-qualified ASE-Certified Technician. Trisno enjoys the great outdoors, his rides on his yellow Ducati and the physical discipline in the Martial Art of White Crane Silat. He says, “The more you know, the more you don’t”. That respect for ability coupled with the desire to keep learning and solving new problems are integral to Trisno’s personality and part of what makes him a great technician. 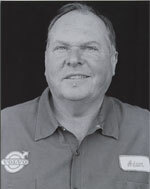 He is a real asset to the Ackerman’s team of qualified Berkeley mechanics. Adam really took to automotive training at the College of Marin. With two scholarships he received an A-S degree in Automotive Technology. He had the opportunity to teach a “special technology” class at the college in the automotive program and it was easy for him to pass all ASE Certified Master Technician exams in one sitting! After working in Marin for nine years, Adam came to Ackerman’s as one of Bruce’s first Berkeley mechanics to work for him. Adam enjoys the great outdoors, raising pastured chickens for their healthful eggs, and growing rare and unusual orchids which take him on great adventures to see orchids grow in the wild. Shop Foreman Darren Magnenat, is an unassuming fellow with an easy smile and amber-green eyes. 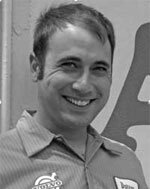 Born in Oakland and educated at Berkeley High School, he likes what the East Bay has to offer: sunny weather, tree lined streets, and an artistic, diverse vibe. His first day at Ackerman's happened to be his twenty-sixth birthday, but he kept that to himself as he opened the shop and readied it for business by switching on lights, rolling up metal doors, watering plants, feeding the fish in the aquarium, making coffee for customers, and filling the biscotti jar. He felt happy and needed no hoopla. After all, his new job, which came with a steady pay check, health benefits, paid vacation, and a future possibility of training as a mechanic with the in-house, ASE-Certified Master Technicians, was birthday present enough.